Spiriteds, what can I tell you? In the weeks since the New Year began, this website has seen all sorts of comedies of error, including disappearing three time in six weeks. I love technology…when it works. But, dare I say it, I think we are on the other side. 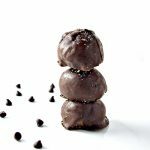 And I can’t think of a better way to celebrate this newfound relief than with mouthwatering No-Bake Chocolate Almond Butter Truffles. I see no reason not to eat one’s feelings when the food in question is actually quite healthy. That’s one of the benefits of following a whole foods lifestyle. When you eat your feelings, you’re still eating very well. That. Is. Winning. Furthermore, these little truffles are also the perfect finger food. So, if like me, you would pick snacking over a full sit-down dinner, suit up. 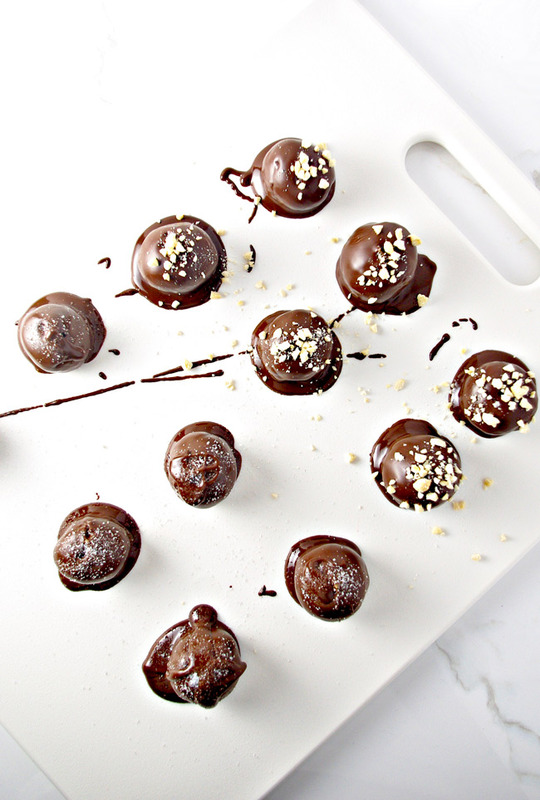 These little truffles are ready for snack time, dessert time, and my-site-crashed-can-we-please-restore-it-again time. 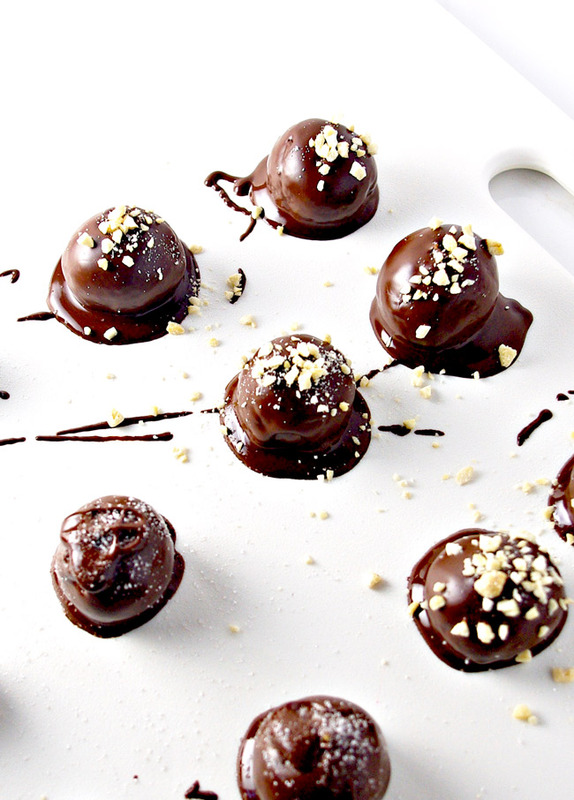 No-Bake Chocolate Almond Butter Truffles have your back, and your tastebuds will thank you. If you can’t eat almond butter or it simply isn’t your thing, no worries. You can substitute any nut butter of choice. Peanut, cashew, sunflower, the options are endless. 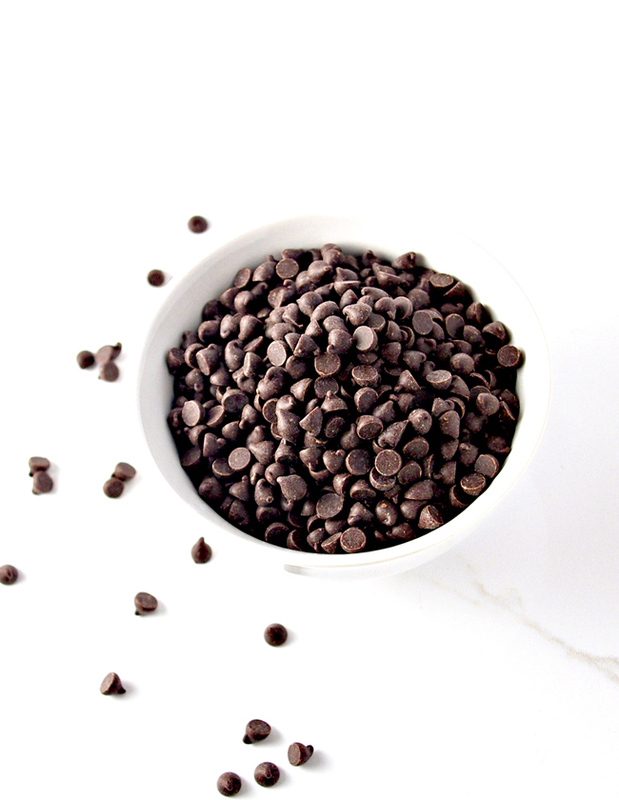 And while I chose to “cheat” a little by buying paleo-friendly chocolate chips, you can melt coconut oil, mix it with cacao powder, and make your own melted chocolate blend. For this recipe, I chose store-bought, the convenient way through to completion. I worried these truffles would be ridiculously difficult to make. This to the point I stared at the ingredients and wondered how it would all work out. If I have to roll things into things, my mind turns to mush, and I’m incapable of rational thought. So rolling dough flat for sugar cookies? WILL IT BE ON THE TEST??? 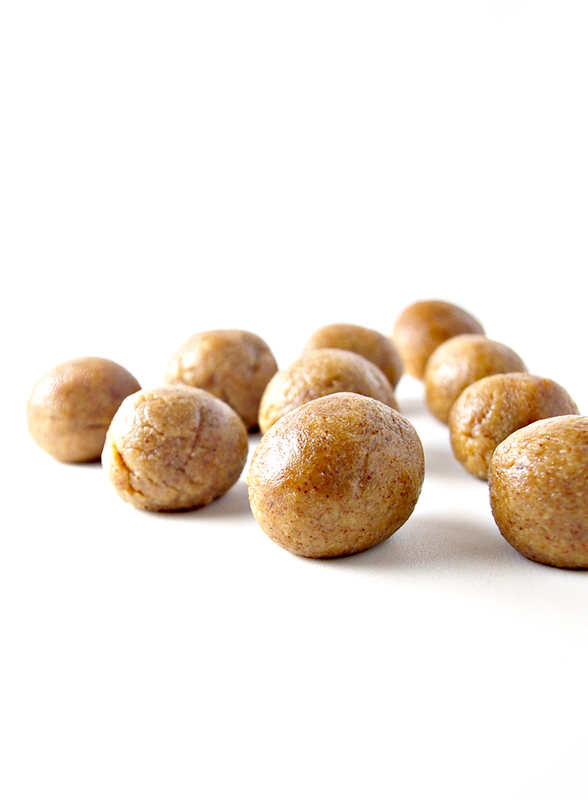 Rolling almond butter into the shape of a ball? HOW DO PEOPLE EVEN DO THAT? THIS CANNOT BE REAL. Maybe I should forgo this healthy eating business and just pull up to the drive-thru. I know how to operate a car. But, ask me to shape dessert batter into something of relative importance? It’s possible I cannot abide. I needn’t have worried, and neither should you. Although it took a little practice to get the right shape and to dip the truffles in chocolate without them sliding off the tong, there’s no need for lizard brain to take over. No-Bake Chocolate Almond Butter Truffles are worth the effort, and I do have a few tricks up my sleeve to make the process easier for you. Although I suspect you are better at shaping things into things than I am. Work on the almond mixture first, storing it in the refrigerator for about 30 minutes so it is firm enough to be rolled into balls and then in the chocolate mixture. 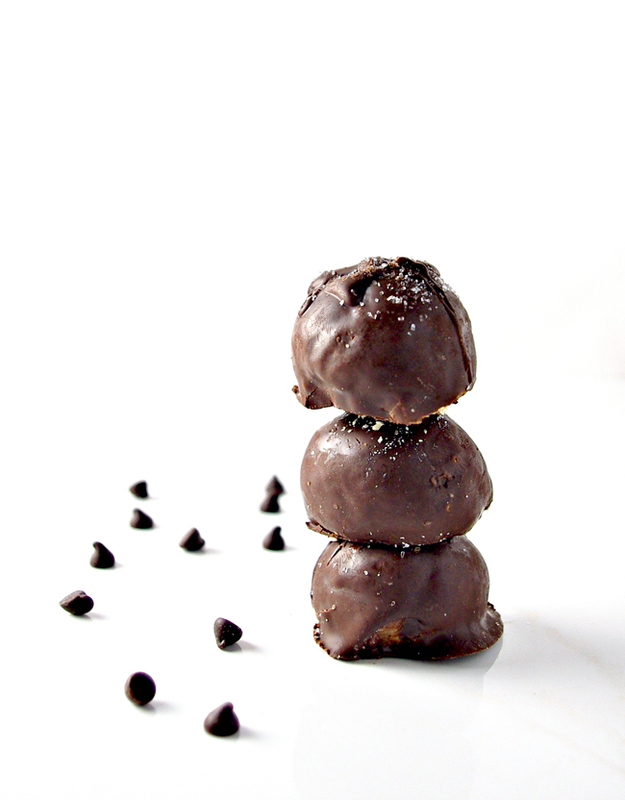 While the almond truffles are firming up in the refrigerator, THEN go to work on the chocolate mixture. Roll the solidified truffles in the melted chocolate using a fork, toothpick, or even a fondue tong. Store the finished truffles in the refrigerator to allow the chocolate to harden. 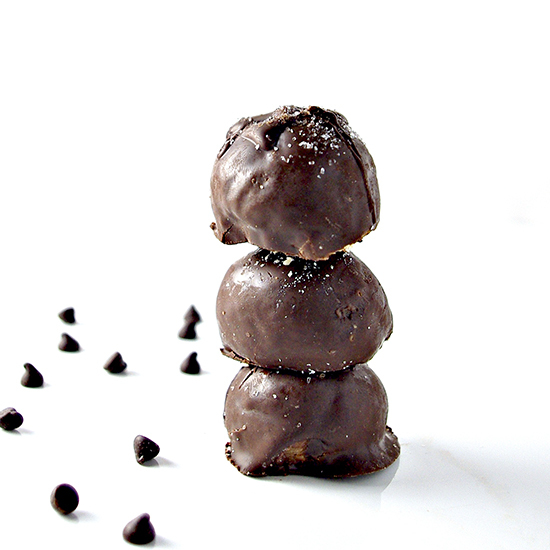 So when might one eat a No-Bake Chocolate Almond Butter Truffle or two? Easy. Breakfast. Brunch. Lunch. Linner. Dinner. Snack time. Because you have been tasked with hosting a baby or bridal shower. Because it’s friends’ night in. Or date night in. Or movie night with the littles. Because at one point in the last 24 hours it was 5:00 somewhere. Because it’s a day of the week ending in “day.” Let me know if you need more reasons. I have a million of these. I could go on forever. The girls and K-Hubs went bonkers for truffles. They couldn’t wait for me to to finish the photoshoot. I gave them each a truffle of their own while I snapped away. But I worried our lack of rational thought, which also happens when faced with chocolatey deliciousness, would cause us to eat all the truffles before I got the images I needed. Alas, pragmatic thinking won out, and we, along with a handful of truffles, lived to tell the tale. Using an electric mixer, combine almond butter, maple syrup, vanilla, 2 tablespoons coconut oil, and almond flour in a large mixing bowl and blend until smooth. Cover and place in refrigerator for about 30 minutes or until dough is firm. 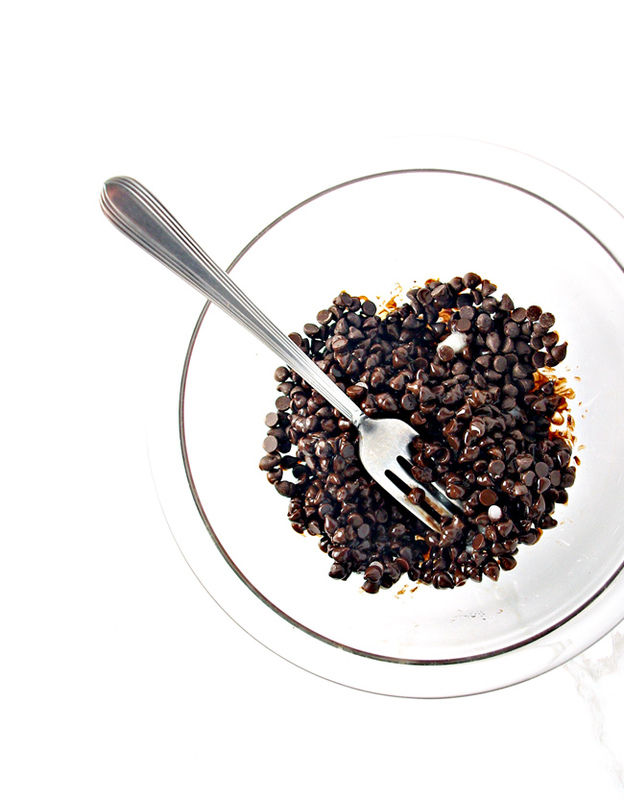 Melt chocolate chips and remaining tablespoon of coconut oil according to package directions. Set aside. Shape batter into 1-inch balls, dip into the melted chocolate, and place on a baking sheet. Store in the refrigerator until chocolate has hardened. Store in either the refrigerator or the freezer in an airtight container. Do not layer truffles one on top of the other until chocolate has set. Top with chopped nuts or sea salt, as desired.